It's time to look ahead far into the future, and make changes and difference in livelihood using sustainable organic agriculture education and farming methods to enable families produce enough food to feed themselves, the growing population and improve socially and economically in order to move out of ecological livelihood inequalities and poverty. Hence sustain sound environment while coping with climate change from grass root. Organic Agriculture Centre of Kenya (OACK) is a non-profit public benefit organisation (PBO) based in Kangari town of Muranga county, with a purpose to educate, train and work with disadvantaged small scale farming communities on sustainable organic agriculture in Kenya and especially in Eastern Aberdare agro ecosystem. 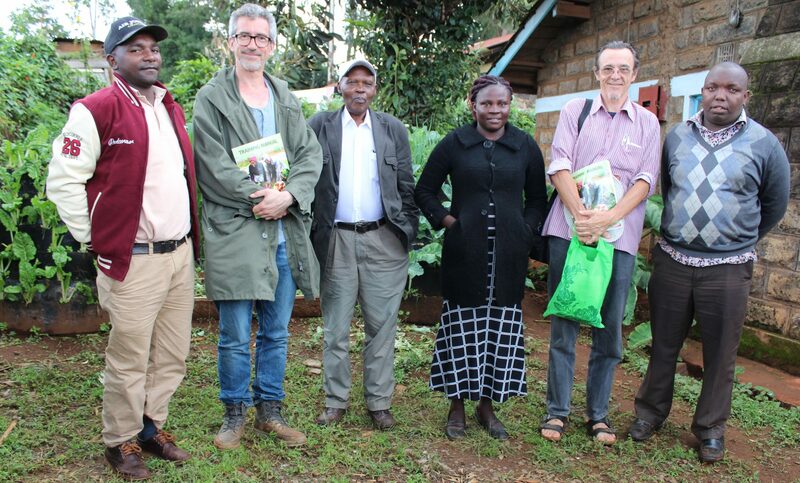 OACK was founded and registered in year 2006 as a non –profit Non Governmental Organisation with a mandate to educate and train disadvantaged small scale farmers in sustainable agriculture in Kenya. It was formed as a result of trial project conducted by common interested farmers groups and OACK's subscribers in 2005. During these trials, the two partners found that, there were trends and crisis of continuing population growth and land sub division into small units in the area pressuring on unsustainable resources use and dependence. Evidently, due to these trends and crisis of population increase, the habitat was found to be getting more crowded, more unsustainably exploited and less ecologically stable leading to food insecurity, poverty, hunger and environmental vulnerability. Therefore, OACK being a change agent, decided to be working with communities on their desired initiatives using sustainable organic agriculture approach for their development as it is environmentally friendly and effective in coping with climate change. David Gathuka Karanja - Coordinator - Our focus is to facilitate farming communities with appropriate knowledge, information and skills in sustainable agriculture approaches affordable locally.